It's becoming a bit of a tradition: Every year, when Google's new smartphones are announced, we have to confirm once again that the first-generation Pixel and XL will keep benefiting from their lifetime original quality photo backups for life. This year, Google made a little snafu, seemingly backtracking on that promise, but it's all been fixed now. When the first Pixel and XL were announced, users were promised they could back up photos from the devices in original quality for free and in an unlimited capacity, without any deadline. The story was different for the Pixel 2 and 2 XL; Google only offered free high-resolution backups until the end of 2020. That change in strategy made us double check whether the first-gen Pixel unlimited offer was still valid, and Google confirmed it was. 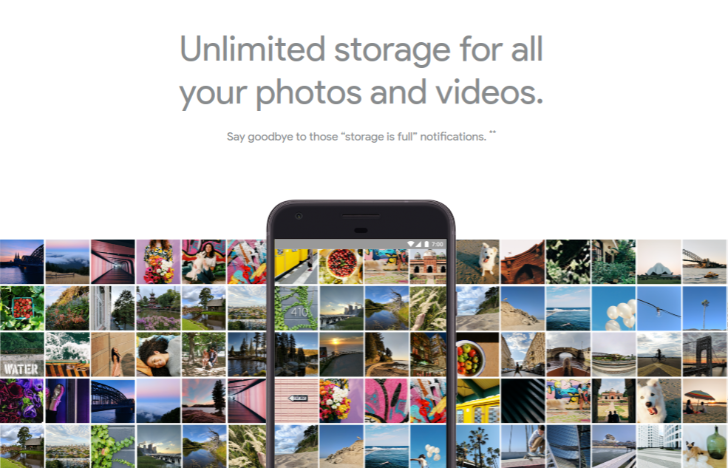 But then this year, after the announcement of the Pixel 3 family, Google published a comparison table on its Store, erroneously pointing out that the first-gen Pixel's free full-res photo backups had a deadline of 2020. Thanks for flagging. The reference to Pixel 1 and Pixel 1 XL was an error. To clarify, Pixel 1 and Pixel 1 XL customers will continue to have unlimited storage forever. Things are back in order now, but I'm sure we'll have to do this again next October.